To everyone I wish a wonderful, blessed Happy Thanksgiving! Thanksgiving is a distinctly American holiday on which we recognize all of our wonderful blessings from God. 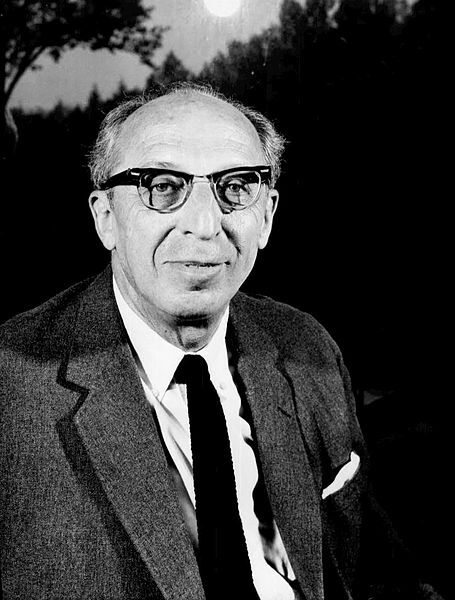 So, on this Thanksgiving week Tales would like to highlight the late American classical composer, Aaron Copland. Aaron Copland is one of those blessings to whom Americans give thanks for. He brought an American style to his classical compositions and is sometimes referred to as the "dean of American composers". One of Copland's greatest compositions is "Appalachian Spring". Appalachian Spring is an orchestral suite that was composed for a ballet. Appalachian Spring seems appropriate for this great American holiday as Copland inserts into this suite an early American Shaker hymn known as "Simple Gifts". Copland brings out the ultra beauty of this hymn with his orchestral arrangement. Along with Appalachian Spring Tales also has a video of the Mormon Tabernacle Choir's singing of "Simple Gifts." Then enjoy from this great American composer his "Fanfare for the Common Man" and the energetic "Hoe-Down" from his ballet Rodeo. Please turn up the sound put in full screen and enjoy this great American composer on this American Holiday week. All I know is he was a great composer of beautiful music. Hey anonymous, get a life , chill out, and enjoy the music without being so judgemental!!! Enjoyed al 3 mike, but the last is very energizing and exciting! I agree brother Brad. Thanks doc! !